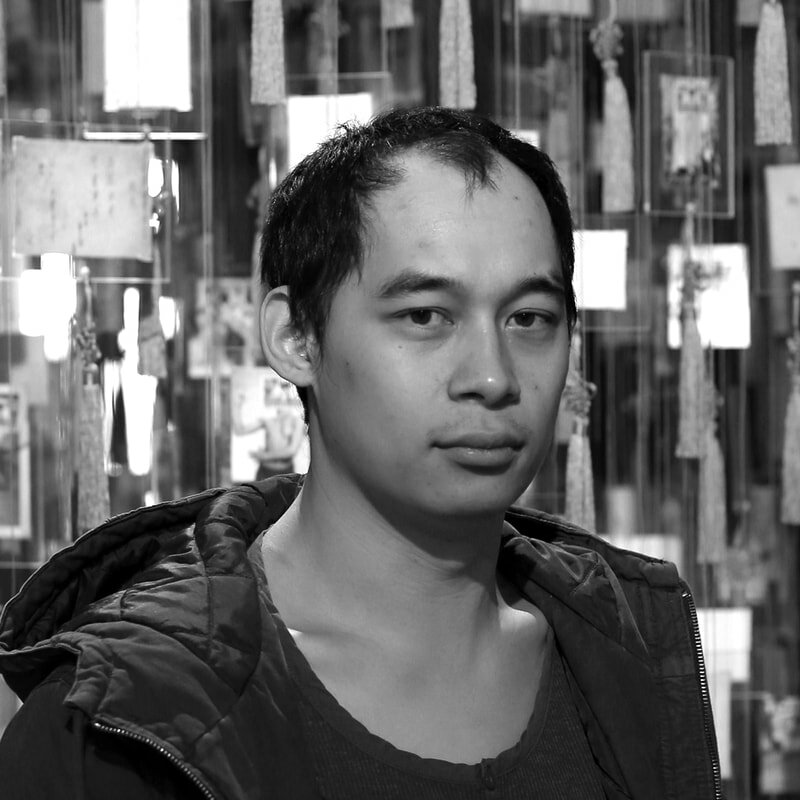 ​PHUONG NGO is a contemporary visual artist; his practice is concerned with the interpretation of history, memory and place, and how it impacts individual and collected identity. His collaborative practice with Hwafern Quach, Slippage, examines the cycles of history in conjunction with current geopolitical and economic issues through the lens of vernacular cultures, artifacts and language. ​NIKKI LAM is an artist, curator and producer based in Birraranga/Melbourne. Working primarily with moving images, performance and installation, her work explores hybrid identities often through studies of rituals, language and representations, as well as the ephemeral medium of video. She is the former Artistic Director of Channels Festival, ACMI X community lead at Australian Centre for Moving Image (ACMI), visual arts editor at Peril Magazine amongst many other roles within the arts. ​DR. TAMMY WONG HULBERT is an artist, curator and academic based in Melbourne, Australia. Born in Sydney to Cantonese Chinese parents, her art practice has a particular interest in the complicated, multi-layered and often fragmented space between cultures and is influenced by her families’ intergenerational migratory connection to Australia. She has worked in both Australia and China and taught fine arts, art history and arts management in Melbourne and Hong Kong and is currently Lecturer of Curating Contemporary Art in the Masters of (Arts) Arts Management, School of Art at RMIT University, Melbourne.